« Jackson to Reverse Johnson’s Reversal! 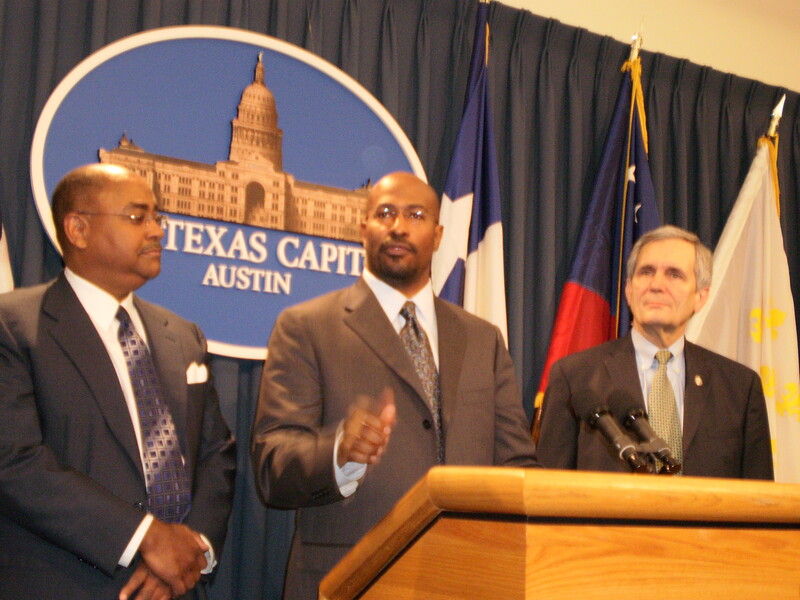 Continue Reading and watch video of Van Jones after the jump! Rep Strama told a story of how two years ago (last session) he said that a perfect storm had formed around renewable energy. Hurricane Katrina had just happened. Everyone had seen or was talking about Al Gore’s documentary, An Inconvenient Truth. Gas prices were at $4 a gallon, and America was deeply involved in an unpopular war in the Middle East that had a lot to do with oil. Now, in contrast, Strama feels like we’re in the middle of a perfect storm in the opposite direction. We’re pulling out of the war, the decline in the economy has decreased energy demand and left investors with less capital for new clean energy projects, and polls are showing that environmental concern is declining relative to overall concern for the state of the economy. Despite all this, Strama feels (rightly so!) that the imperative to act now is just as strong as it was two years ago. Strama stressed his belief that the clean energy boom is about to happen — if not happening already. The only question that really remains is where that boom will happen. Texas currently has 15% of its economy invested in the energy industry. If the clean tech boom doesn’t happen here, and our old fossil fuel economy goes the way of the dinosaurs, what will replace that key sector of our economy? 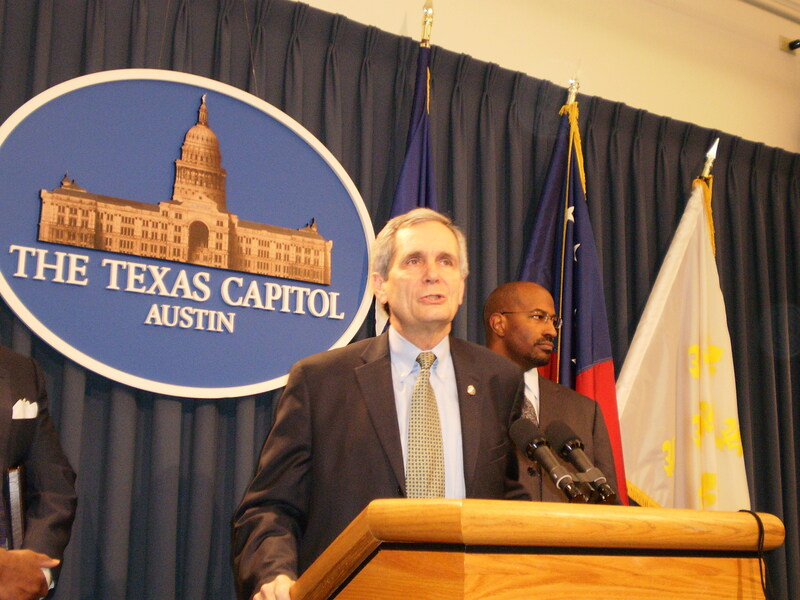 Then Lloyd Doggett spoke, who I was very pleased to see because he is now my Very Own Congressman. Doggett started off by saying how timely this conference is, especially in light of the President’s recent signing of the federal stimulus package — at a press conference loaded with solar symbolism, no less (Obama signed the bill into law after touring the Denver Museum of Nature and Science, which has solar panels on its roof, and was introduced by the head of a company that installs solar panels). Doggett said that now is the time for Texas to focus on going green — both in terms of getting more green technology and greenbacks (clever man). He said that the move is happening, in Washington and even here in Texas, away from reliance on fossil fuels and away from “fossilized thinking”. 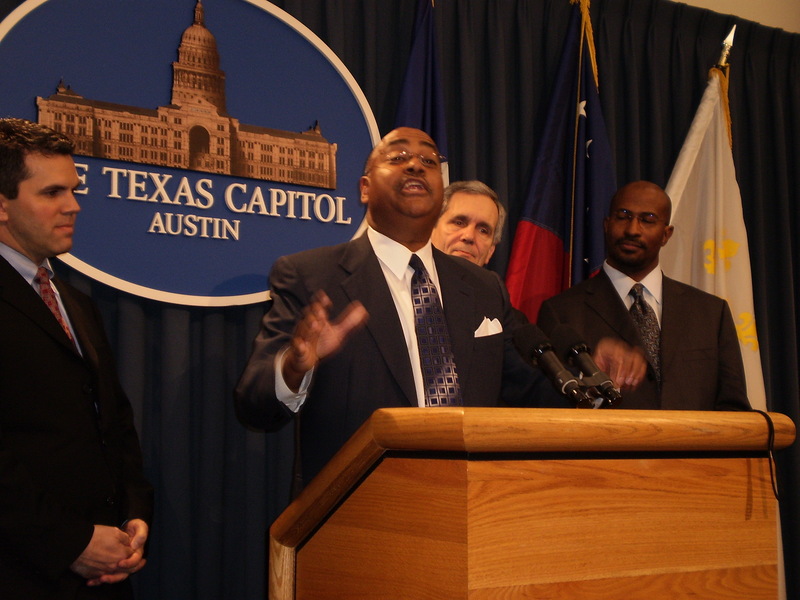 Doggett also described the billions of dollars in the stimulus package of federal funding to attract new industries, weatherize homes, and supply tax credits to incentivize consumer and businesses investment in energy efficiency. Then spake Van Jones (double swoon). Jones opened with a joke that he was really speaking against his best interests here, because if we follow his advice Texas will end up stealing a whole bunch of jobs and economic development from his home state of California. Jones agreed with Doggett that for too long we have had fossilized thinking of the following character: people have assumed that we can either take care of the environment or take care of the economy. What folks haven’t picked up on (until recently) is that everything that is good for the environment, everything we have to do to solve the global warming crisis, is a job, or a contract, or an entrepreneurial opportunity. Jones had an amazing message: that we can beat pollution and poverty at the same time. He said that America can no longer be the strongest economy in the world by being the biggest consumers, but that we have to become producers again. We can bring green manufacturing here to Texas, and recover many of the blue collar jobs that have gone overseas. We have the opportunity here to start making things again — to manufacture solar panels, and wind turbines, and put them together. A wind turbine has just as many parts as a car. We could be the Detroit of the clean energy industry, creating and assembling green tech products here for the entire nation. Or we can sit on our laurels, and let all the clean tech jobs go to California and Michigan. Your choice, lege. Your voice, constituents. Tell your legislators that Texas needs clean energy and green jobs, hasta muy pronto. Advice on citizen lobbying and how to be your own best advocate, coming up. Keep your eyes peeled.